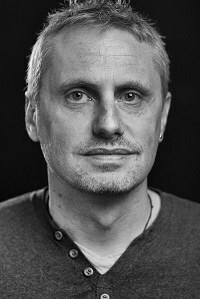 Serge Fehr (CWI, UL) has been appointed as Professor Quantum Information Theory at the Leiden Mathematical Institute (MI) since 1 June 2018. His research is focused on quantum cryptology. Serge Fehr has been appointed as Professor Quantum Information Theory at the Leiden Mathematical Institute (MI) of Leiden University since 1 June 2018. Fehr is employed by Centrum Wiskunde & Informatica (CWI) and works one day a week at the MI. His research is focused on quantum cryptology and will take place in the Algebra, Geometry & Number Theory group at the MI. Fehr studied at the ETH Zürich and obtained his PhD in Aarhus, Denmark in 2003. After a postdoc position in Sydney he started in the Cryptology group of Ronald Cramer at CWI in 2004, where he has been a permanent tenured researcher since 2010. Fehr continues to work at CWI for four days per week in addition to his professorship. His appointment is also aimed at further strengthening the collaboration of CWI and the MI. In Leiden, Fehr will focus on education and research in quantum information theory and quantum computing and their applications to cryptology. This will take place partly in the context of the NWO Gravitation Quantum Software Consortium, in which the MI is one of the six main participants. With Ronald Cramer there is already a professor in cryptology at the MI; Fehr’s appointment further expands the expertise of the MI. For Fehr, his goals for his professorship are clear: "I want to broaden the research domain of the MI that focuses on computational aspects by including quantum algorithms. I plan to set up an educational programme for students on the subjects quantum computing and quantum information theory. and I intend to stimulate new collaborations within the MI, but also with the Leiden Institute of Physics (LION) and with QuSoft – the Dutch research centre for quantum software." Fehr is an internationally highly respected and productive researcher, who has made fundamental contributions to both classical and quantum cryptography, and to quantum information theory. He publishes regularly at the two most important conferences in his discipline, CRYPTO and EUROCRYPT, where he also often serves on the programme committee. In addition, Fehr is regularly PC Chair and organiser of conferences and workshops. In 2015, he was appointed to the editorial board of the Journal of Cryptology, the most important journal in cryptology. Serge Fehr benoemd tot hoogleraar Quantuminformatietheorie Per 1 juni is Serge Fehr (CWI en UL) benoemd tot hoogleraar Quantuminformatietheorie aan het Leidse Mathematisch Instituut (MI). Zijn onderzoek is gericht op de quantumcryptologie.